Most guys think women prefer a man with money, muscles, or hypermasculinity. That’s true, of course. If you were a woman, wouldn’t you desire that? However, most women want more than all those material things. They want a man who displays manners, morals, mindfulness, and many other special attributes. There are a lot of tips and advice floating around on the Internet about what to do and how to succeed in dating for men. 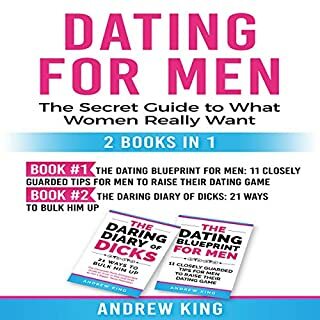 However, Dating for Men by Andrew King is quite different because it’s a result of thorough research and experiences from different men. This audio summary will help you to be the best mate you can be while learning what you need from your mate. It will help you listen to and enjoy the original book more thoroughly. Keto Meal Prep for Beginners: The Ultimate Keto Meal Prep Guide Step-By-Step for Beginners to Weight Loss, Save Time, Eat Healthier and Save Money. Keto diets have really come on strong in the past few years and for good reason. 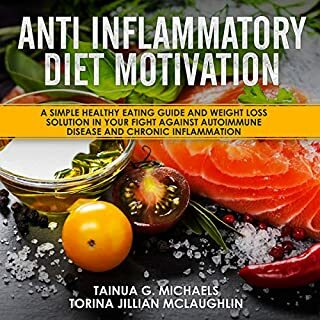 It's a great way to not only shed those unwanted pounds quick, but also an excellent method to get healthy and stay that way. For those that have tried the Keto diet and are still on it, it's more than just a diet. It's a way of life, a completely new lifestyle. However, like any major shift in our lives it is not an easy one. It takes an incredible amount of commitment and determination. Very easy, healthy, tasty, and quick cooking! Are you part of a team that is struggling? In this summary, we go through each of these dysfunctions in detail. 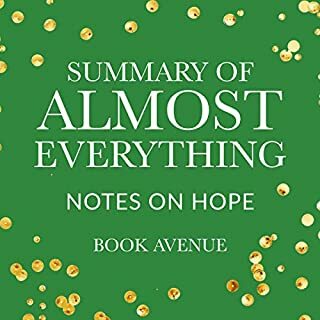 This summary is perfect for those who are too busy to read the full book - or who need a little extra help understanding it. 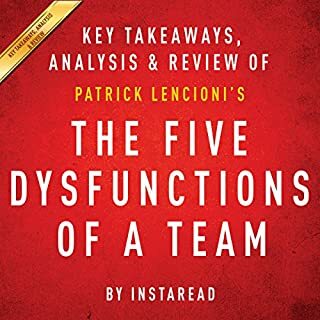 After listening to this summary, you will have a much better understanding about the issues that tend to come up in teams - whether in your professional or personal life - and how to work together to overcome them and build a stronger team. Crafted so artfully I was able to listen this book in one afternoon. Although simple to understand, the concepts taught within the allegory are deep and well-thought. 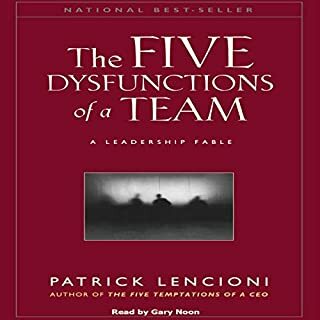 All who are leaders of a team of any sort should use this book as a standard for how that team should function. As a new supervisor, who heads a dysfunctional team, this book has been a game changer. Who knew that conflict could be so productive. I tried some of the tips in the book and I could not believe my team actually started working together to solve issues. I will read this book over & over again. I even want to send some copies to my upper management. I like that the book explains things in details. I like that the book explains things in details. I dislike that,for the most part, it tells it in a f form of a story, but this is what many people like about the book. Overall, it deserves a five star. 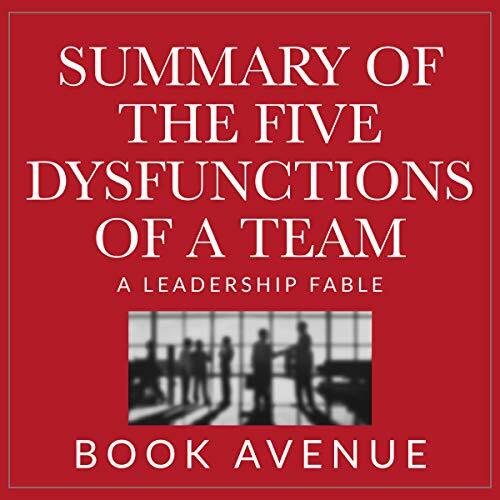 If you have a dysfunctional team at work, this book does a good job of how they can happen. Easy to listen and a good demonstration of how different personalities can impact teams and how teams suffer unless the dysfunction is identified and removed. Told as a parable, the book is informative and enjoyable. You’ll get valuable insights on ways that you can be more effective within your team. Highly recommended for any leader. I enjoyed listening the story of a dysfunctional team struggling to become better, and seeing the fundamental principles of how to create strong teams, in action.. This book is great, I think I have already seen some tangible progress in my actions as a team member, and I feel like my current team have been better functioning since reading it/our discussion. Highly recommended for anyone looking to improve their ability to contribute to teams, whether you are a manager, or a team member looking for ways to be a better person. This book used storytelling to bring home specific concepts being discussed. The characters will be immediately recognizable to anyone who's worked in a corporate environment. 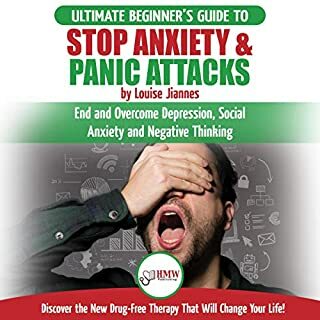 The best part of the book is the model at the end, which gives a roadmap and concrete suggestions on how to fix each dysfunction. This book addresses common problems of teams such as trust, accountability and conflict. You can listen a monstrous manual or you can change your team into a functioning one by not just reading this, but applying it.Hard work but worth the journey. Interesting and worth the listen! The principles reviewed are common sense, but presented in a context easily understood for the listener. The five dysfunctions can fit in any organization or team. As a member of higher education, I can see how we can use these tools not only in the academic faculty but also teaching students as they embark in their professional careers. Exceptional! Loved that I could jump to the back of the book and get the practical application, or take the slow listen and listen from cover to cover. Either way, this is spot-on practical insights to working with a team.